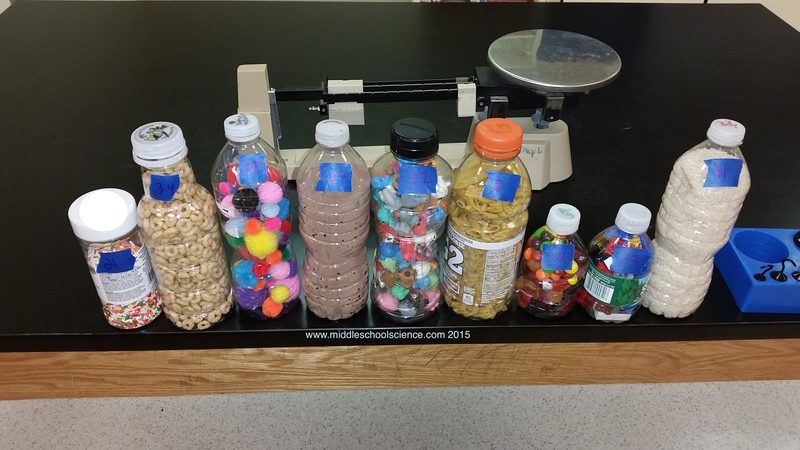 Triple Beam Balance – Bottles of Stuff! Then they will rank the bottles from lightest (#1) to heaviest (#10) and compare their estimation to the actual masses. How close were the estimations to the actual masses? Did they place the bottles in the correct order? You can also use these bottles as part of your density unit, see my blog entry for more information.